I am a big believer of exploring the country, city, state, etc. that you live in. Living in Qatar has been no exception. 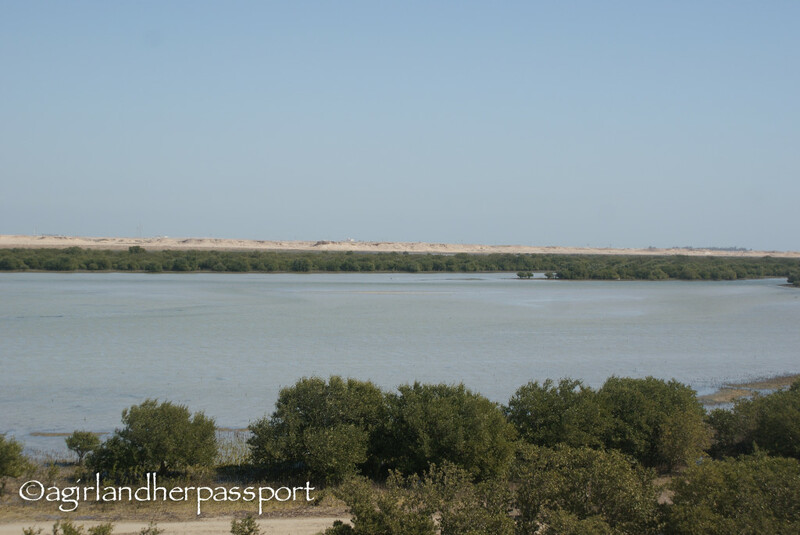 Last year, I went to visit Purple Island, and it was green and watery unlike most of Qatar. A friend of mine mentioned he had never been outside of Doha since moving here, so decided to take him. Like last year, we have had a lot of rain this winter, and it was even more beautiful than last year. Purple Island is named because of the purple dye produced from a sea-snail, of which thousands of shells have been found on the island. 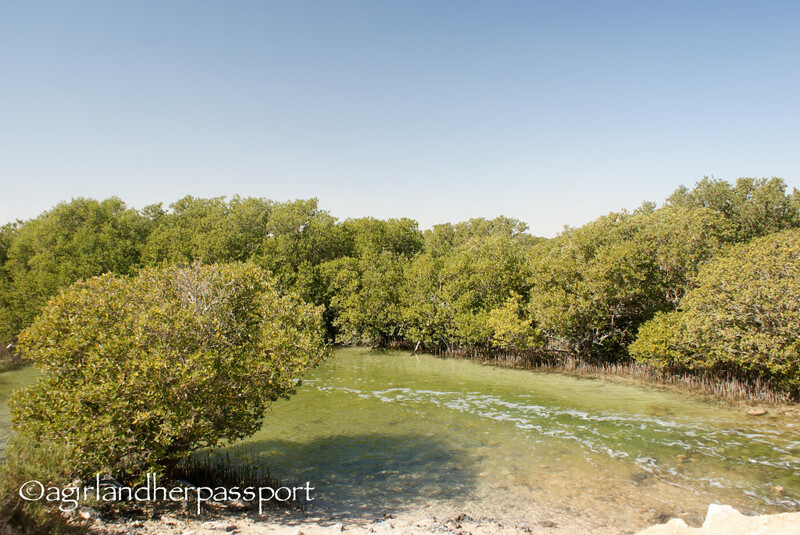 Purple Island is surrounded by mangroves. This year they were even larger than last year. The water was deeper than last year as well. I didn’t see any crabs like I did last year, but this year we saw cranes and two flamingos! The flamingos were actually flying, which I don’t think I have ever seen them flying. Unfortunately, when they landed they were too far for me to get a good shot with my camera. Purple Island has an interesting landscape, and there is plenty to discover, and I am sure the next time I go it will look just as different. 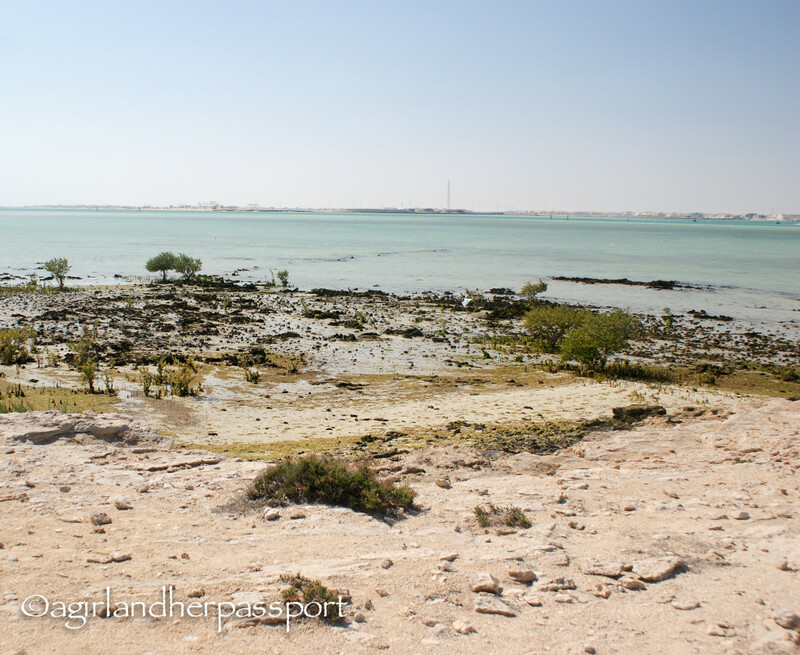 This time, we also explored around the mangroves as we could see camps on the other side. However, it was pretty muddy, so we didn’t get out of the Jeep. 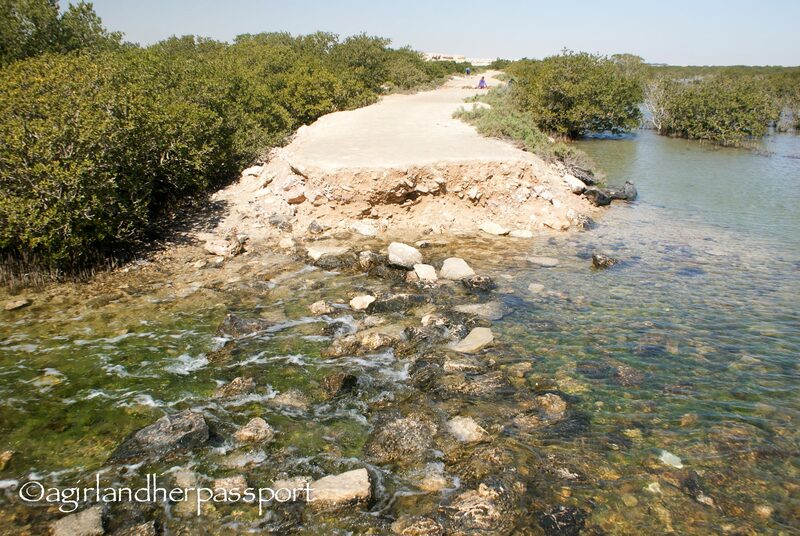 To get to Purple Island, you have to head to Al Khor and turn right towards the Al Khor hospital, after the hospital you turn right off at the now built, but not open Al Meera grocery store. There is also a tower if you don’t see the grocery store. You head down this road till you see a sign that says Flower Each Spring Camp, turn off-road here. On this visit, there were also two Qatari flags marking the entrance. If you don’t have a 4×4, you will be okay if it hasn’t rained recently. 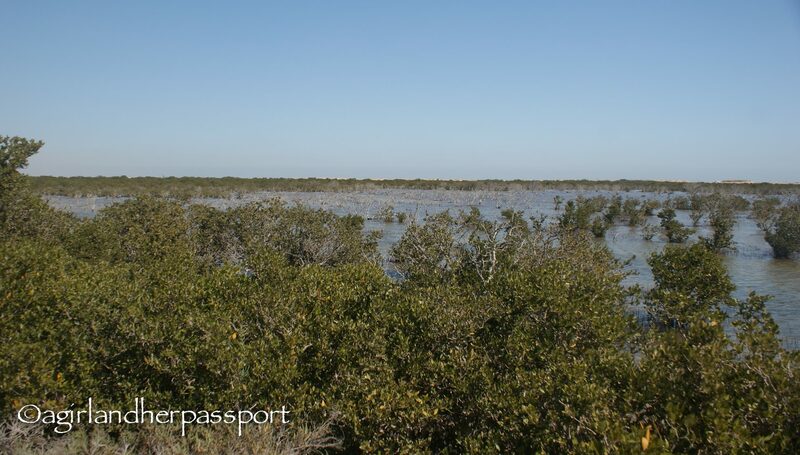 Although you will only be able to drive to the Purple Island entrance and not drive around the mangroves as we did. Make sure your car has good ground clearance. Follow the path made by other cars and you will see other cars at the entrance and a garbage bin. From here you will have to get out of your car and walk about 1 km down the path to the island. There is lots to see along the way. Look for the yellow flowers along the path. You will also have to wade through water, so make sure you don’t mind getting your shoes wet. When we were there, it was about calf deep on me and it was cold! The water was moving swiftly so be careful. Many people were bringing their children in as we left, so it can be done with children in tow. 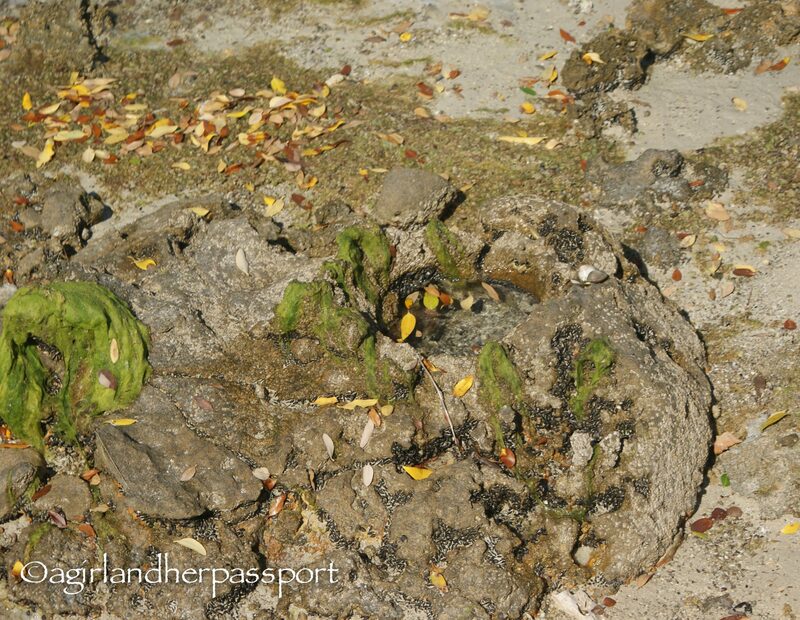 Here are a few more images of Purple Island and the surrounding area. Do you explore your own country? Where do you like to go? Woah!!! That doesn’t look like Qatar at all. I know right!? 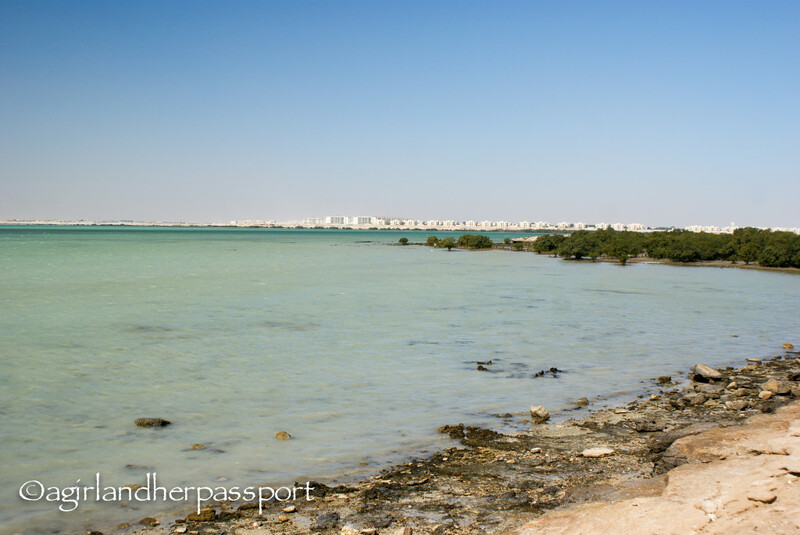 I love going here and seeing Qatar from a different angle! Glad you enjoyed it. There is lots to do and see here!